Holding logs in an orderly manner has become a need of the hour to make the interiors look clean and tidy. Log holders are designed to serve this purpose and get rid of issues of room cluttering. 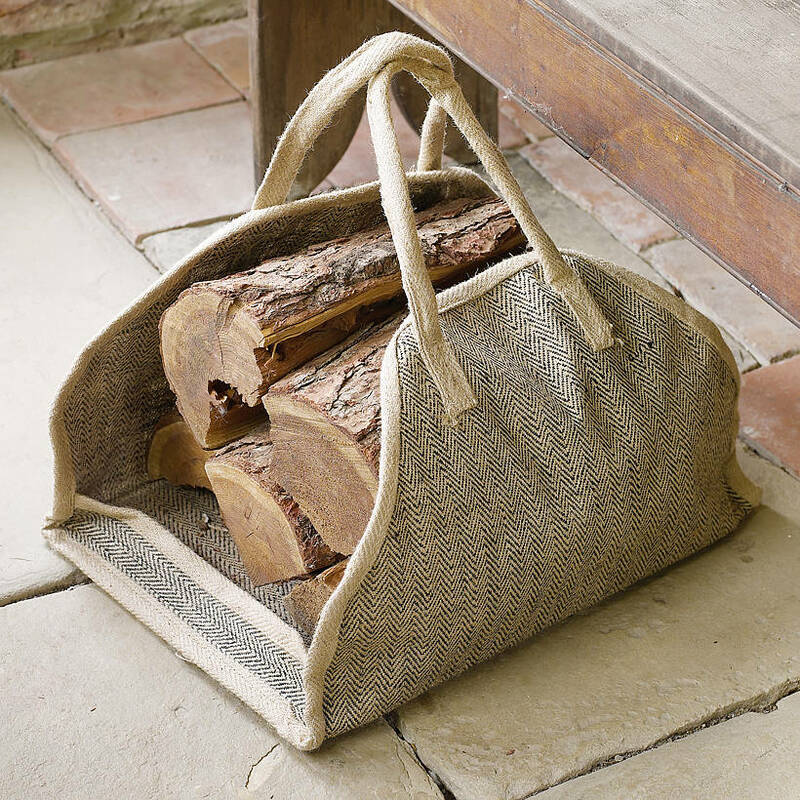 Jute log holders are highly demanding holders as they are used to keep the logs safely at a place in an organized way. They are designed from the jute, an organic material to make them loaded with highly beneficial features of this natural fiber. As jute is one of the strongest fibers, holders designed from it are known for rough and tough properties. Jute log holders are manufactured in a variety of styles, designs and colors to match the decors of room, office, hotels, restaurant and any other place. To convert then in vibrant colors, they are treated, bleached and dyed in various attractive colors. Jute log holders are of high strength provide brilliant performance for years to come. They are light in weight, handy and portable so that they can be easily carried and shifted from one place to another. Their compact structure makes them able to keep at any part of the interior be it small. In addition to this, these space saving log holders of jute can be folded and closed after use. Their 100% natural and eco friendly nature enhances their value over others like plastic, metal, wood, etc. they are free from producing any kind of pollution while decomposing. These jute log holders are designed in simple patterns as well as decorative ones. They can be adorned with varied materials like mirrors, gems, beads, stones, glitters, laces, etc. to add beauty in these high utility log holders. Their style, elegance and quality make them ideal to be gifted to their near and dear ones as present. Moreover, such jute log holders are proved highly beneficial promotional items to gain popularity.